The question is delivered with an air of genuine incredulity. Boli, it seems, is in awe of the man with whom he is communicating through the medium of song. And with good reason. It’s 1991 and, having spent the past two seasons cutting a swathe through the French top flight with Olympique Marseille, Chris Waddle is the toast of Provence. To the adoring Marseillais he is Magic Chris, and his fame is such that, for the second time in his football career, he has agreed to be part of a highly dubious pop duo. Four years before Boli and Waddle’s ludicrous yet amusing We’ve Got a Feeling hit the airwaves, the Englishman had combined with then-Spurs teammate Glenn Hoddle to produce Diamond Lights, an angsty synth-pop cringefest of a tune that peaked at number 12 in the UK charts. Lights was a heinous and unforgivable crime against the ear, yet upon Waddle’s subsequent return to the music world, it was clear that in the intervening period the singing winger had improved little as a vocalist. The same could not be said of him as a footballer. 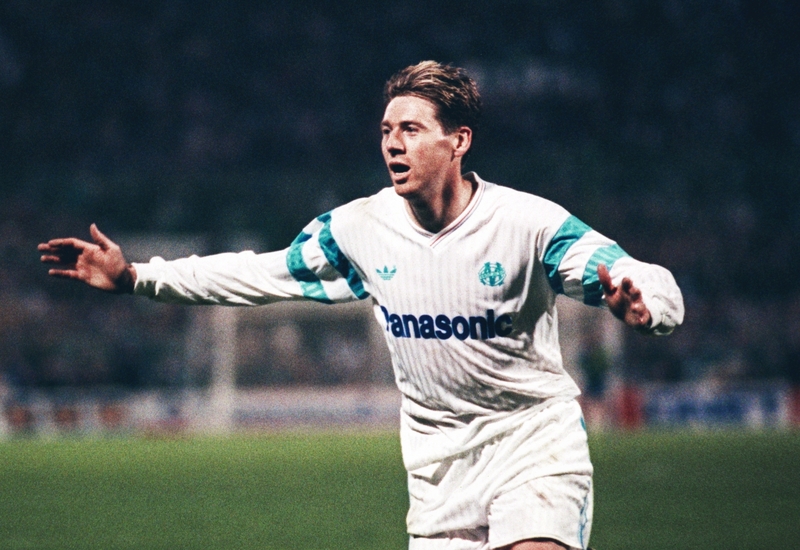 By the end of his second campaign with OM, in 1990/91, Waddle was widely acknowledged as one of the finest attacking midfielders in Europe. After a promising but ultimately frustrating period spent playing alongside Hoddle in a talented Tottenham side, who were unlucky to win nothing during an era when English domestic football was stagnating in the aftermath of the post-Heysel ban, he’d flown the coop and become a star on the continent. As the game had left England behind, so too had Waddle. Many thought he’d have gone as soon as the ban came into effect in 1985: there were rumoured to have been foreign clubs interested in prising him away as early as the 1985/86 season. But Waddle had stayed in London, persevering as one of the few players of real imagination in a league that increasingly favoured the artisan over the artist. Like Hoddle, he stood out, a touch of colour on a monochrome palette. Yet by the summer of 1987, Hoddle himself had nipped off to the south of France with Arsène Wenger’s Monaco, resulting in widespread heartbreak for the myriad fans hoping for a follow-up to Diamond Lights, which had turned out to be something of a parting gift from Hoddle to English football. It would be simply a matter of time before his musical and footballing accomplice followed suit, and when the moment came for Waddle to leave Tottenham, the man who made the exit a reality was a close acquaintance of Hoddle’s, the agent Dennis Roach. 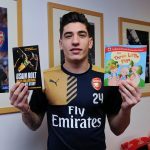 As strange as it may seem to write in an era when few British footballers are in demand among top European teams, the late 1980s and early 90s were a period during which a high number departed the UK for the continent’s biggest sides. Many simply left because of the ban, enticed by the prospect of continental competition – and higher wages. Roach had been an integral part of the movement, developing a network of contacts across Europe that allowed him to facilitate deals between British players and foreign clubs. He’d quickly got involved when it became clear that Waddle might be on the market. As detailed in Out of Time, Tottenham chairman Irving Scholar had, on the same day Gary Lineker’s move from Barcelona to Spurs was announced, “received a call from a Yugoslav agent, Ljubo Barin”. The Yugoslav, acting on behalf of Marseille president Bernard Tapie, had tempted the initially reluctant Scholar into a meeting in London to discuss a potential bid for Waddle. 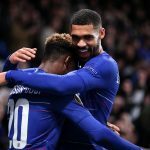 At the conference, which was attended by Scholar, Tapie, Barin and Spurs manager Terry Venables, it became clear that the French club would spare no expense to sign the Englishman: they had raised their offer from an initial £2.5m to £4m. Despite Scholar’s hesitation to part with Waddle, his star man, the amount was too much to resist, especially when Roach became embedded in the transfer. Having heard from Tapie of the deal, Roach was incensed that he had been excluded up to that point and sought to insert himself into proceedings. Scholar knew that once the agent was part of the discussion there would be little he could do to halt the transfer: Roach had the ear of Waddle on the back of Hoddle’s recommendations, and any doubt that the former might decide to remain in London was erased the moment he entered the equation. In the UK, there would have been no need for such imaginative accounting, but the status of French clubs made it necessary. And Tapie, the man who’d brought Waddle to Marseille, was a master of the trade. He’d wheeled and dealed his way to a position of prominence within the worlds of business and politics, to the extent that in 1985 the mayor of Marseille had begged him to take charge of the then-bedraggled OM: Tapie, aware of the club’s power in its region, agreed. The pride of the city had fallen on hard times, yet its new president immediately boasted of his intentions to make the team European champions within five years; a rather ambitious promise considering they had spent most of the preceding half-decade in the second tier. By 1989, when Waddle became part of the Marseille movement, Tapie was a member of the national parliament and seemingly an unstoppable force within the country – and so was the team he bankrolled. In order to achieve his lofty ambitions for the club, Tapie had simply resolved to spend vast sums of money on acquiring the best players he and his close-knit set of agents could get their hands on. They’d even tried to sign Diego Maradona from Napoli, with the Argentine claiming in his autobiography that Tapie had, “offered me everything I could possibly want and more”. Years before Florentino Pérez emerged on the scene at Real Madrid, Tapie was attempting to mould a team of Galácticos on the south coast of France. Waddle, then, had pitched up at what was fast becoming a superclub. In 1988/89, the season before he arrived, OM had won the top tier for the first time in 17 years, and had only been strengthened further by their summer transfer activities. For the 1989/90 campaign, in addition to Waddle, Tapie had signed attacking talent in the form of Enzo Francescoli, the precocious Uruguayan who would become an idol to a young Marseillais named Zinedine Zidane. Further back, French internationals Didier Deschamps, Jean Tigana, Manuel Amoros and Alain Roche, as well as Brazilian centre-back Carlos Mozer, were also brought in. The new recruits enlisted in a side already containing luminaries such as Karl-Heinz Forster, Philippe Vercruysse, Franck Sauzée, a young Benoît Cauet and, up front, Jean-Pierre Papin and Eric Cantona, two of the finest French forwards of their generation – although Cantona, struggling with disciplinary issues, would soon be loaned out to Montpellier. Waddle, who’d spent the previous season playing alongside the likes of Terry Fenwick, Guy Butters and Vinnie Samways, was in illustrious company. Unsurprisingly, Tapie’s men retained their title in the Englishman’s first season – largely thanks to Papin bagging 30 goals, many of which were created by Waddle’s crosses from the flanks. Come the end of that debut year, Waddle had settled, but at first it had been hard going. “I’d got there and I was in a hotel,” said Waddle in a 2012 interview. “I hadn’t done any pre-season and within days I was playing at Lyon. I’d barely done any training and I wasn’t fit. They were trying to train me during the day fitness-wise and it was like 90 degrees. I nearly fainted on a couple of occasions. The goal was a typical moment of impudence from Waddle. Put clean through on the end of a cross skimmed over from the left, he chests the ball down, clips it an inch above the permed head of the onrushing Joël Bats and, with his own locks flowing imperiously in the wind, nudges it gently – and entirely unnecessarily – with the rear of his foot into a now unguarded net. It was the act of a man born to showboat, a blend of flair and arrogance that would rapidly endear him to the Marseille fans. The boy from Gateshead, who’d once worked in a sausage factory, was now at home on the French Riviera. And, at least when it came to football, he wasn’t out of place. Waddle’s cerebral, technical style, and his tendency to let his skill rather than his physique do the talking, was suited to his new environment rather more than it had been to his old one. In England, he’d stood out, but in France, he fitted in. At Italia 90, Waddle had often felt shackled by the tactical rigidity required by his manager, Bobby Robson, but still conspired to be one of his team’s best performers. His tournament had ended in agony, famously missing a penalty in a semi-final shootout, but back in Marseille for the 1990/91 season and freed once again from the prescriptiveness of the English style, he was about to embark on what was perhaps his finest domestic campaign. Francescoli was gone, packed off to Cagliari, but in to replace him had come the Yugoslav Dragan Stojković, then one of Europe’s most gifted playmakers. Cantona was back in the squad, while the explosive Abédi Pelé – father of André, Ibrahim and Jordan Ayew – had also returned from an extended loan period at Lille. Basile Boli, meanwhile, had signed for the club from Auxerre, and would quickly help to forge France’s sturdiest back line. Tapie, applying his Galáctico policy to the coaching staff, had hired Franz Beckenbauer as manager after he’d led the Germans to victory in Italy, but the Kaiser didn’t last long as head coach and soon moved upstairs. Yet the managerial change hadn’t appeared to have any negative impact on the team. With Waddle, Pelé and Cantona feeding Papin – Stojković spent most of the season injured – they were fearsome in attack, and with Boli’s physicality shoring up the defence, few could compete with them on the domestic scene. Wenger’s Monaco, who’d won the league in 1987/88 with Mark Hateley top-scoring, were the closest thing they had to a genuine competitor in the French top tier, but in truth, Marseille were untouchable and duly won their third championship in a row. They were to have almost equal success in continental football. Tapie’s prophecy of European glory within five years was not to be realised, but in his sixth season as president, OM would come mighty close. It was a European Cup campaign that saw them play most of their matches in the former Eastern Bloc. They despatched Albania’s Dinamo Tirana and Poland’s Lech Poznań in the first two rounds with relative ease, before setting up a heavyweight quarter-final with fellow entrepreneurial plaything AC Milan. Milan, in the early stages of the Silvio Berlusconi era, had been pursuing a similarly high-spending policy. Their extravagant owner was cut from the same cloth as Tapie and, like Marseille, the team possessed some supremely talented imports. The clash was an intriguing contest between two budding superclubs, but would descend into farce as the ‘Lightgate’ scandal saw Waddle’s team progress in controversial circumstances. 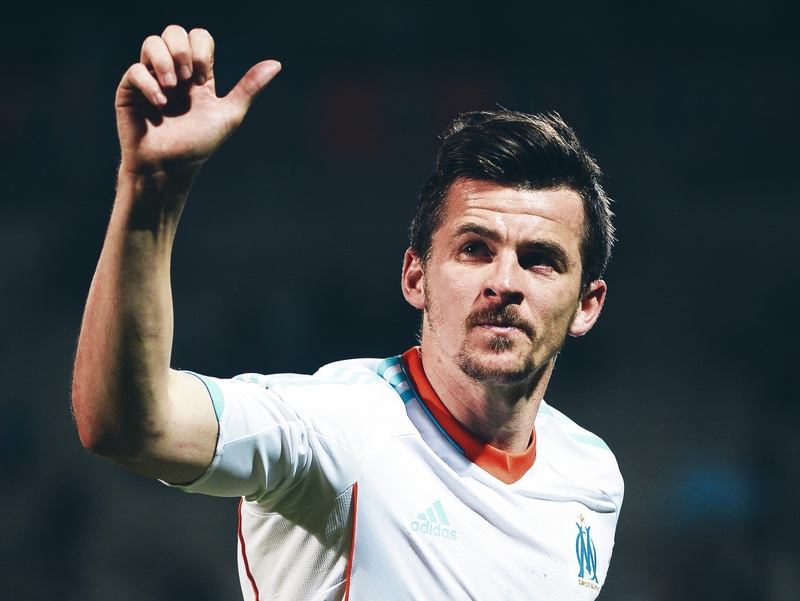 Defending an away-goal lead from the first leg, Marseille found themselves 1-0 up at home thanks to a goal from their talismanic English winger when, with a few minutes to play, the Vélodrome floodlights died. Milan, possibly under instruction from director Adriano Galliani, refused to continue, hoping the match would have to be replayed – instead, the French side were awarded a 3-0 default win. OM progressed from the semi-final with another victory over Eastern opponents, Spartak Moscow, before being drawn in the final in Bari against Yugoslavia’s Red Star Belgrade. The match, which was one of the worst finals in memory, went to penalties: Waddle, still traumatised by his spot-kick miss in Turin, refused to step up. As did Stojković, the former Red Star player, who’d also missed a decisive World Cup penalty for his country. They were not to experience redemption: Manuel Amoros, Marseille’s stylish right-back, had his penalty saved by Stevan Stojanović, from which calamity there was no way back for the French side. They lost 4-3 on penalties as Waddle experienced his second shootout heartbreak in Italy within a year. Papin, who’d again top-scored in the league and was joint top-scorer in the European Cup, was a good pick for the continent’s best player. But Waddle was unlucky to miss out. He’d been instrumental in Marseille’s run to the final, teasing and tormenting defences across Europe with the flair that had come to define him. At the time, he had few equals at club level, and without him Papin may not have had the opportunity to find the net so often. The Frenchman’s accolade, in some ways, belonged as much to his on-field provider. And yet, despite his rising prominence in Europe, Waddle was now struggling for his national side. Graham Taylor had taken over as England manager in 1990, and it soon became apparent that a defining aspect of his reign would be his hesitance to trust his most gifted players. Waddle would suffer more than most. For Waddle, it was a dichotomy that had followed him throughout his career, but which would come to a head during the Taylor era, when he was marginalised by a coach unwilling to accept his subversive continental tendencies, such as preferring to dribble with the ball rather than punting it into the box. Waddle, out of sight in France, was easy prey for accusations of unreliability. It was something of which Waddle was acutely aware. He’d been one of his nation’s finest talents for almost a decade but had often found himself frustrated at how its system treated players like him. He knew how things worked with the likes of Taylor: fall in line or fall by the wayside. It was a far cry from the freedom afforded to him at Marseille. In fairness to Taylor, though, Waddle hadn’t always been a paragon of virtue. He’d pulled out of two European Championship qualifiers against Ireland at the last minute, apparently because of injury. Taylor, however, suspected that the player was simply acquiescing to his club’s desire for him not to waste his time with the national side. Then, in late 1991, Waddle irretrievably entered the bad books by speaking out against his manager in the media. Against Turkey in another qualifier that October, Waddle had hugged the wings. Taylor criticised him for doing so, rather than roving about the pitch, but was stung by Waddle’s retort that he’d been told to stay out wide by the coach. In an echo of his words to Pete Davies in 1990, Waddle then went public with his disaffection, stating that the inflexible strategy employed by Taylor was restricting his players’ chances of reaching their maximum potential. For the England boss, it was the last straw: the Turkey match was the last that Waddle ever played for his country. And so, by the middle of the 1991/92 season, Waddle was focused solely on his club career in France, a system that by contrast had warmly accepted him. He’d started to play as a more central attacking midfielder behind Papin, and was excelling. His team, with another Englishman, Trevor Steven, playing in midfield and with Jocelyn Angloma further strengthening the defence, were again the dominant force in the French top flight, and kept hold of the title, finishing ahead of Monaco and Wenger for the second year in a row. But the European Cup campaign turned out to be a catastrophe. English clubs were back in continental competition, and the tournament had had a makeover with the introduction of a group stage, which was, in fact, the third round – teams played two knockout rounds to qualify for one of two groups, the winners of which progressed to a final. Marseille crashed out in the second knockout phase at the hands of Sparta Prague. Tapie, who’d grown obsessed with winning the competition, was furious. “We had a strong chairman in Bernard Tapie, who if you lost, he was ruthless,” said Waddle in 2012. That ruthless side came to the fore at the end of the 1991/92 campaign. Vexed by his team’s failure in Europe, Tapie laid the blame squarely at the feet of his key players, among them Waddle, and resolved to overhaul the squad. Amid background rumours of financial instability, the president shipped Papin off to Milan, Mozer to Benfica, Steven to Rangers and Waddle to Sheffield Wednesday. Magic Chris, after three glorious years by the Mediterranean, had ended up in Sheffield. And he would go on to have something of a rebirth in England, thrilling Owls fans as part of a popular side under Trevor Francis. 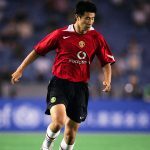 So impressive was he on returning home that he was given the PFA Player of the Year award in 1993, but at the age of 33, his career was in its endgame. Marseille had received the best of him. Waddle’s former club would go on to win the first ever Champions League without him in 1992/93. Fittingly, the man who scored the winning goal in the final against Milan was Waddle’s old mate and singing partner, Basile Boli. But the club would soon be mired in allegations of corruption. 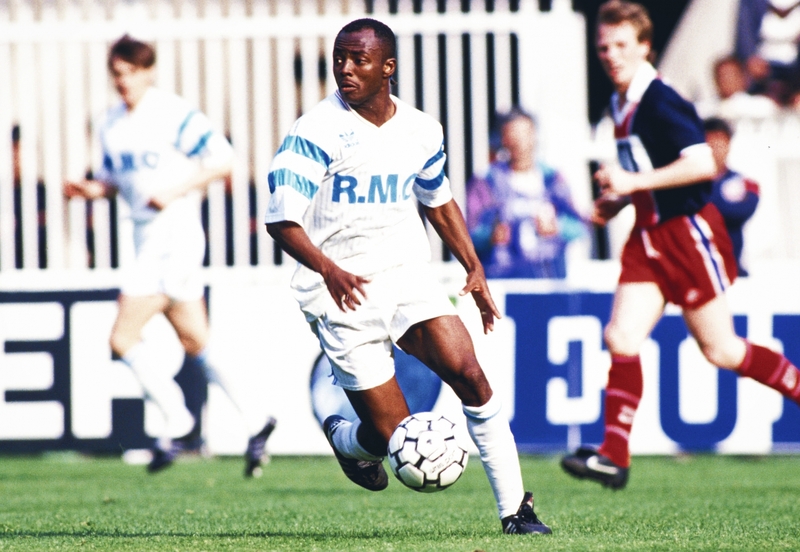 In the spring of 1993, it was alleged that figures representing Marseille had offered financial incentives to Valenciennes players if they would help ease OM’s path to the league championship by losing against them. Marseille would likely have won the title regardless of the result against Valenciennes, but wrapping up the division well in advance of the Champions League final would allow them to focus fully on the build-up to the match. In reality, there was no anti-Marseille plot. It transpired that OM midfielder Jean-Jacques Eydelie and general manager Jean-Pierre Bernès had offered Valenciennes players Christophe Robert, Jacques Glassmann and Jorge Burruchaga a “fistful of francs” to throw their match against Marseille. Who were promptly demoted to the second tier and stripped of their 1992/93 league championship – but not their Champions League title. The scandal cast a shadow over the entirety of the Tapie era, including the time that Waddle spent at the club. More allegations would break over the years, including a rather startling – but unproven and possibly unrelated – claim from Dejan Savićević that Red Star players were offered 500,000 Deutsche Marks to lose the 1991 European Cup final. Tapie’s involvement brought Marseille from mediocrity to the peak of European football, but also left the club tainted for many years afterwards. What remains untainted, however, was the beauty of his team’s play and the style with which they attacked. For many, the Valenciennes affair fails to cloud OM’s achievements during the late 80s and early 90s: despite the bittersweet climax to their story, this remains one of the finest teams in France’s history. And to the gangly English trickster who was such an integral part of it, memories of Tapie’s Marseille will always be happy ones. For Chris Waddle, Marseille will never be about scandal. It will be about Papin, back-heels, freedom of expression and, yes, We’ve Got a Feeling. And for those in the city, he will always be Magic Chris.